Summertime means late nights on the patio, relaxing around the pool and brunch dates with your friends. For now, put away your bottles of bold, spicier whites and reds and try out these must-have summer wines from Columbia Distributing. Everything about this bottle says “summer.” It has a beautiful blush color that’s perfect for sitting out in the garden. Once you pop the top, you’ll delight at the pomegranate and red currant aroma. Every sip contains the delicious taste of fresh strawberries and cherries to keep it light and sweet for summer. Plus, it’s best served chilled to help cool you down when the temperatures start to skyrocket. Light, fruity, smooth wines are staples during summertime. The Red Blend from PopCrush boasts a refreshing berry blend flavor with a hint of cherry to top it off. It contains a little bit of everything, including Cabernet Sauvignon, Merlot, Syrah, Petite Sirah and Zinfandel. Whether you’re cooling off in the A/C or basking in the sun, this wine’s refreshing pop is sure to hit the spot. The Callie Collection knows how to create the perfect taste and feel for all those summer gatherings. Look for the Fresh Red Blend, the Pino Grigio or the Chardonnay. All three feature rich, fruity flavors, such as lime, pineapple and honeydew, to help make any occasion that much sweeter. Their bottles are also made with resealable corks in case you want to save some for later. Another blush pink wine, SAVED Rosé is dry, yet surprisingly crisp and refreshing. Its flavor is unmistakably fruity with notes of strawberries, tangerine and green apple. It’s the perfect choice for both celebrations and just-because nights alike. Want more? Columbia Distributing offers an expansive variety of wine from the top wineries around the country. 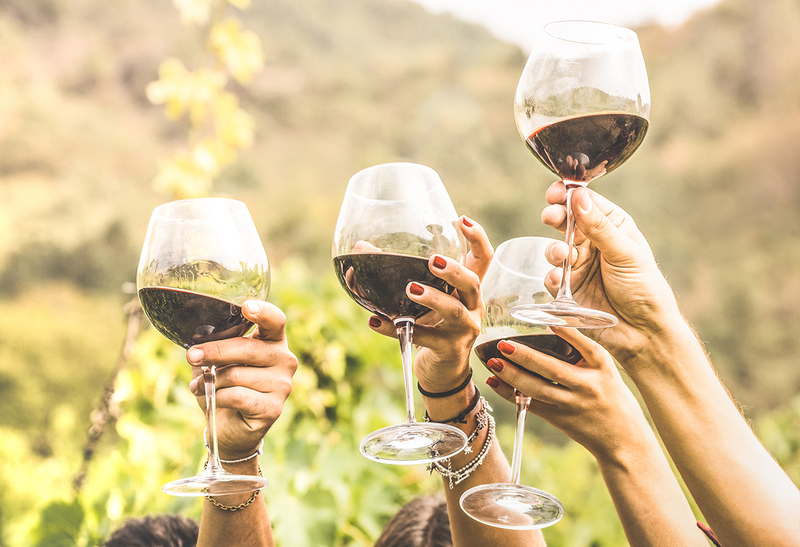 Whether you’re hosting a backyard get-together, enjoying a romantic date night or getting ready to settle in for a night of summer TV, we have summer wines fit for every occasion this season. Check out the rest of the wine brands we carry and contact Columbia Distributing to learn more.